Two transgender actors have spoken out about having their birth names published on the IMDb website without their permission. Representatives of the actors, who spoke anonymously, told IndieWire they had not been able to remove the information from the website, despite lobbying from their management, agencies and the LGBTQ advocacy organisation GLAAD. Speaking to the website, IMDb responded: “IMDb is committed to being the most comprehensive source of movie, TV and celebrity information. “Our users trust that when they use IMDb, they are receiving comprehensive and accurate biographical information. Deadnaming is the action of calling a transgender person by their former name instead of their new name, as a deadname is the name of a trans person prior to their transition. It can feel invalidating and disrespectful as it highlights that the individual is not supported in their transition process, whether it’s before, during or after. 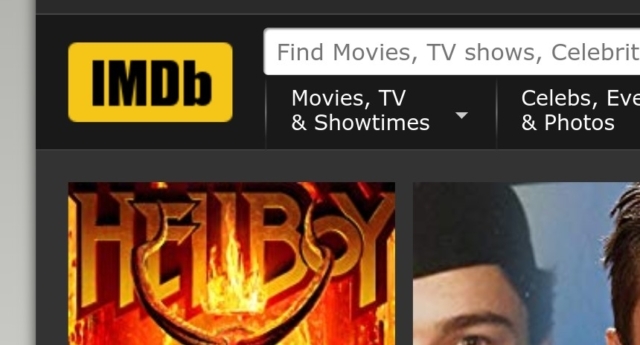 IMDb representatives told the website that an “edit” button is available on each page so registered users can submit corrections, but actors have highlighted they were unable to use the button. One actor said they were not able to get IMDb to remove their birth name until 2017 after several months of campaigning. Although their name was changed on their profile, the birth name still appears in the “bio” section and next to the roles they played. The actor said: “It feels very exposing to have that information out there against my will as it is a private thing, and I would like to choose who I get to share it with. Last year, Twitter banned misgendering or deadnaming transgender people as part of a crackdown on harassment and abuse. It now specifies that “this includes targeted misgendering or deadnaming of transgender individuals” — deliberately referring to a transgender person with the wrong pronouns or using their pre-transition name. Last year, former boxing champion Amir Khan misgendered Caitlyn Jenner on a Snapchat post where he labelled the former athlete with her deadname.